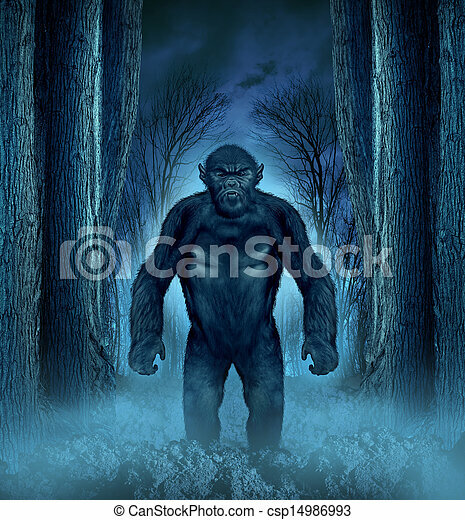 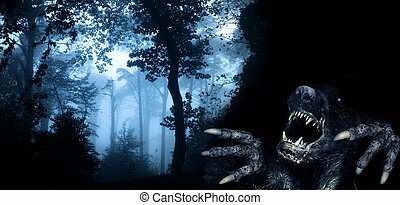 Forest monster concept with a werewolf lurking as a bigfoot creature coming out of a dark scary background with a moon glow behind it as a halloween horror symbol of haunted woods animal. 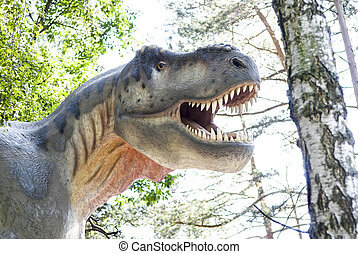 Sculpture of dinosaur (Tyrannosaurus rex) in live size. 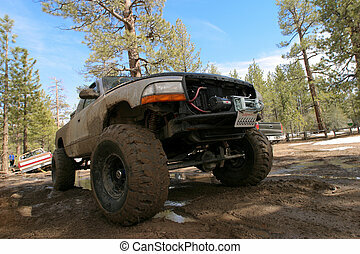 Offroading monster truck in the forest. 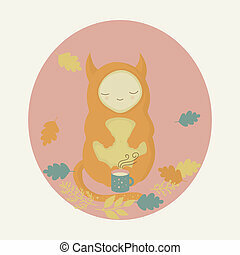 Cute orange monster and mug of tea in autumn forest. 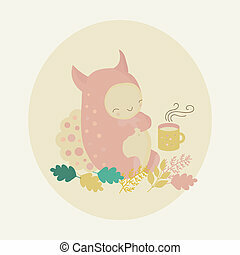 Cute pink monster and mug of tea in autumn forest. 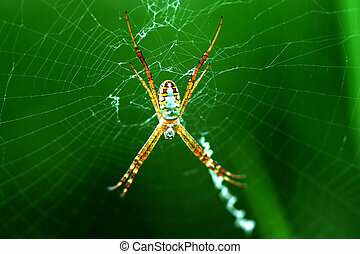 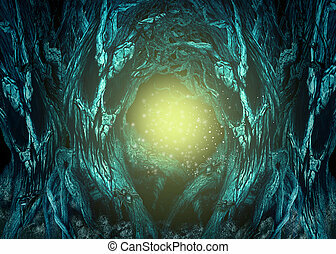 Haunted Forest background as creepy woods with evil trees and spiders with glowing copy space as a spooky landscape with 3D illustration elements. 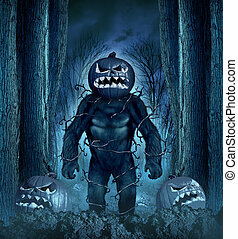 Halloween evil monster concept as a creepy creature with a scary pumkin head in a spooky night forest graveyard of jackolanterns. 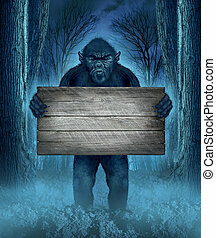 Monster holding a rustic blank old wood sign as a creepy halloween concept with a werewolf lurking as a bigfoot creature coming out of a dark scary background with a moon glow behind it as a horror symbol of a haunted woods animal. 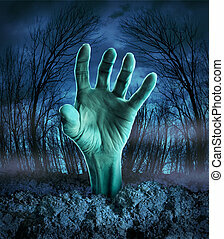 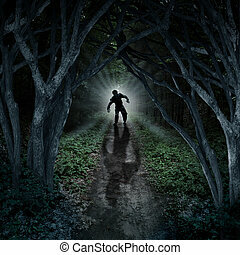 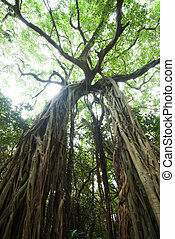 Zombie hand rising out of the ground in a spooky dark forest with creepy trees and fog as a symbol of Halloween imagination with a dangerous monster coming back from the dead. 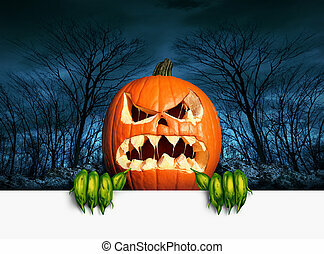 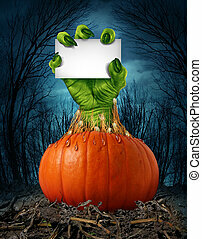 Zombie pumpkin sign with a green hand holding a blank sign card as a creepy halloween or scary symbol with textured skin wrinkled monster fingers coming out of a wet open pumpkin in a dark spooky forest. 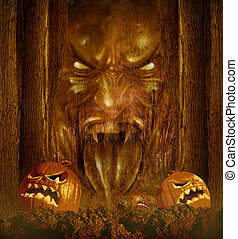 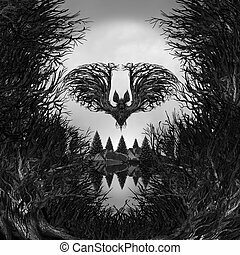 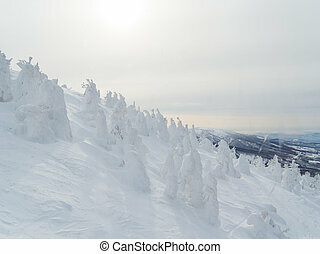 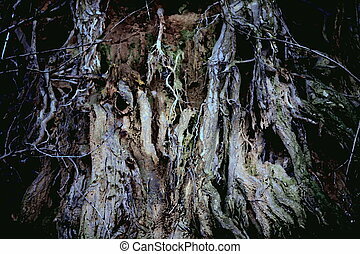 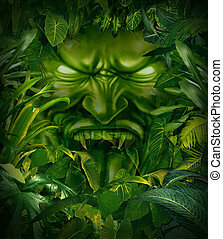 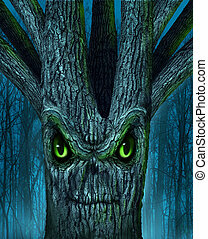 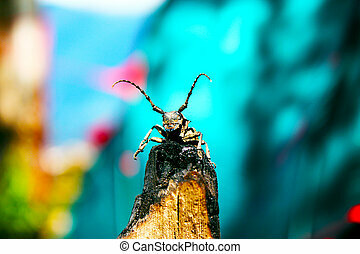 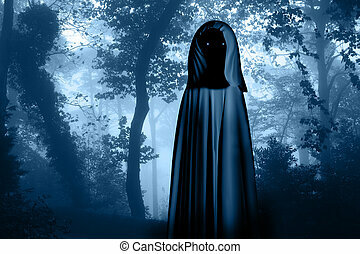 Scary Skull background as a surreal haunted forest with dead trees and mountain shaped as a possessed skeleton head with 3d illustration elements as a halloween or fear metaphor.